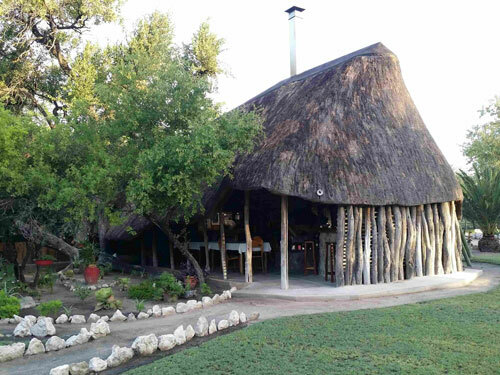 The TUCSIN Tsumkwe Lodge and Staff: Genuine People, Genuine Hospitality! 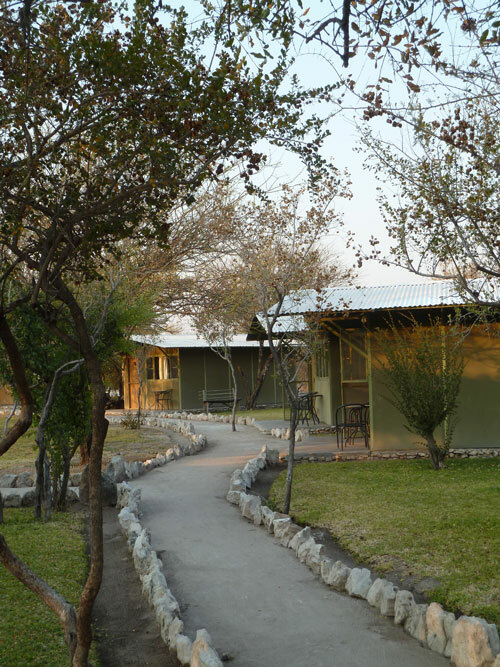 The rustic lodge is situated 2 km from the settlement centre. 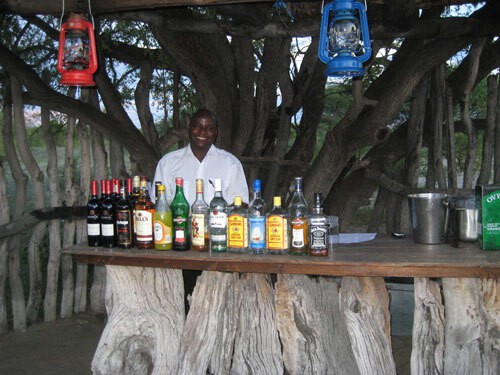 22 twin cabins are arranged on the spacious premises linking up with the camping sites and the restaurant-lapa. 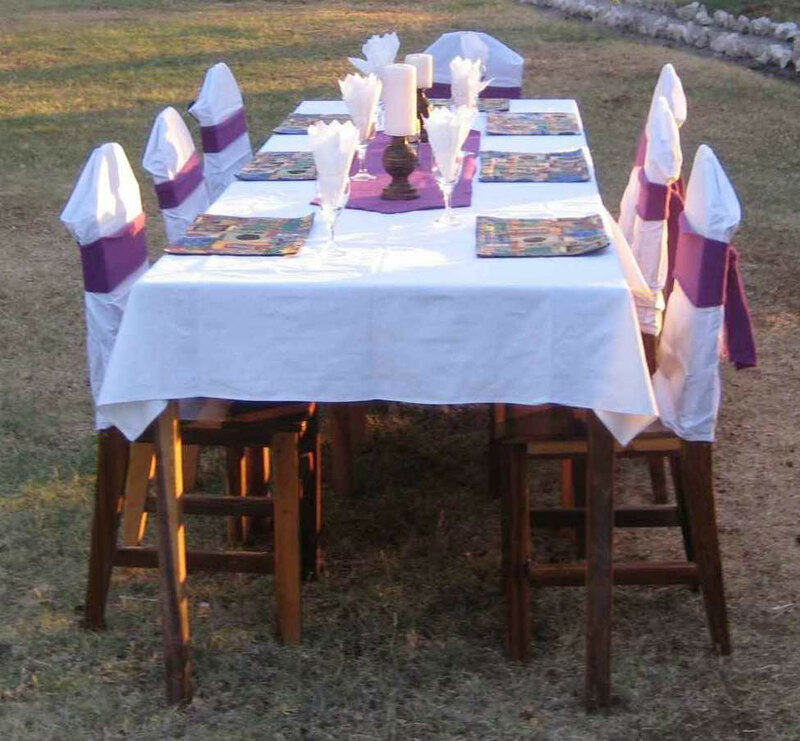 Our large outdoor shaded boma is the ideal place for special events, cultural entertainment and delicious meals prepared over the BBQ by our experienced chefs. 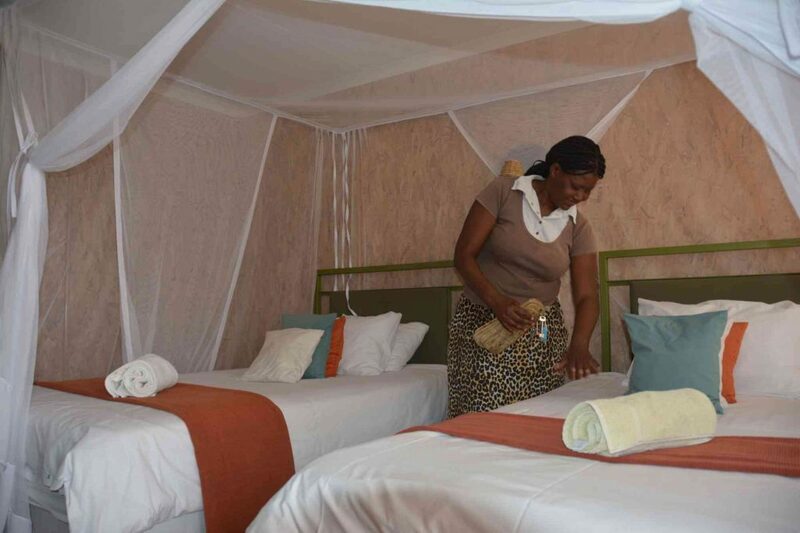 All rooms are protected by fly-screens and mosquito nets. 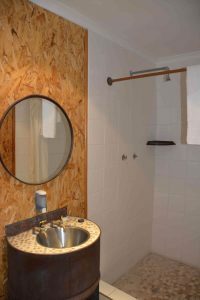 All of our cabins have been newly renovated! 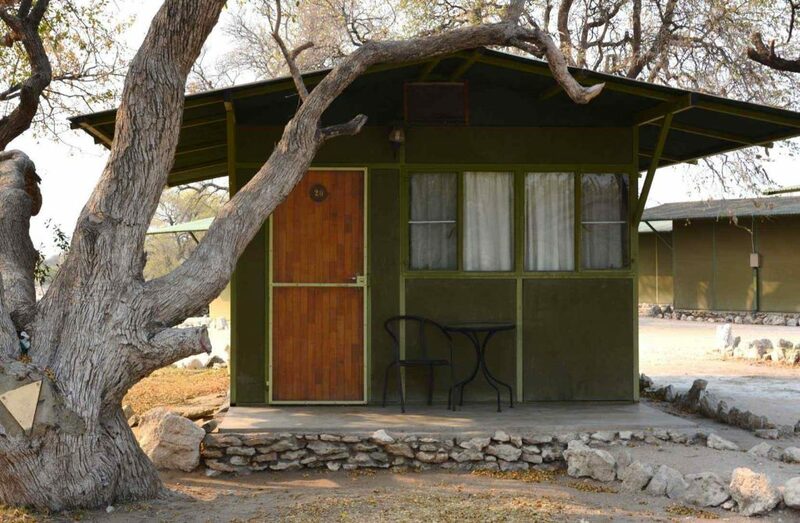 The cabins have been newly renovated. 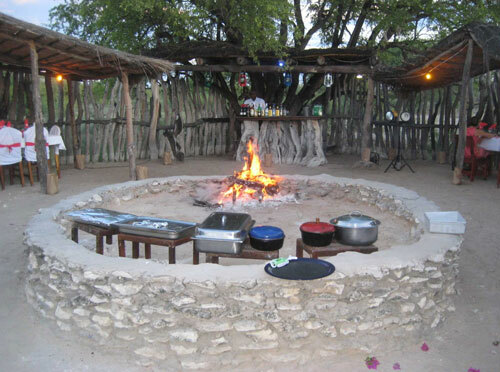 The restaurant-lapa: BBQ, Buffet and à la carte menus. We are prepared for your visit. The bathrooms are newly renovated. November up to June is our low season period. During this period, we gladly offer guests who wish to book directly or at short notice a 20% discount on the Bed & Breakfast basis. 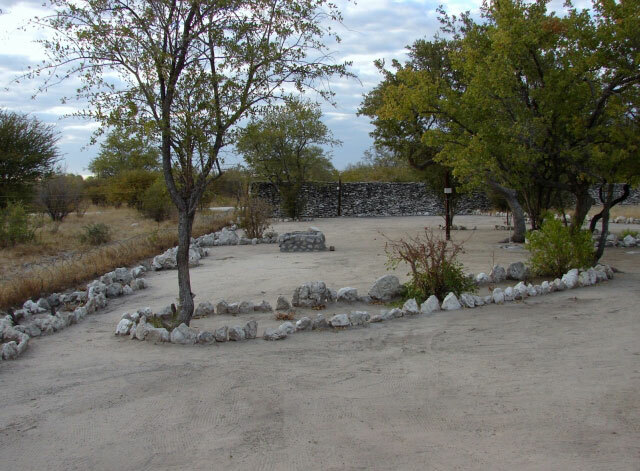 Six campsites are adjacent to the lodge. 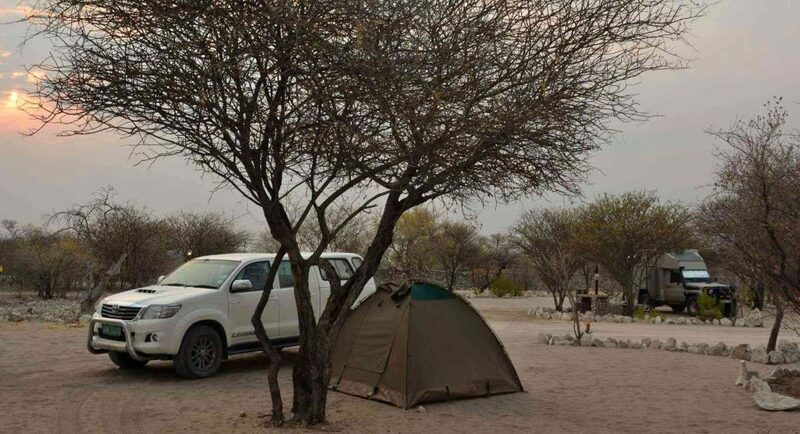 Each with electrical point, water point, BBQ pit; communal washing and toilet facilities.